Rural counties can’t rely on septic systems, but it’s OK for King County to continue to sweep its ongoing sewage treatment problems under the rug? IF hundreds of millions of gallons of untreated stormwater and raw sewage flows into Puget Sound, but politicians and environmental groups don’t make a peep, did it really happen? That’s what we’re left to wonder after the catastrophic failure at King County’s West Point Treatment Plant last month. 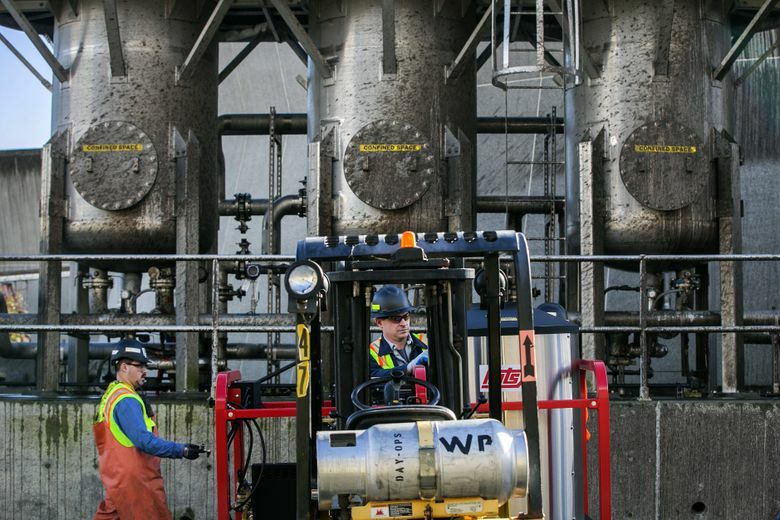 Due to a power outage that caused critical equipment to fail, more than 300 million gallons of untreated stormwater and raw sewage were sent straight into Puget Sound. This isn’t the first time the West Point Treatment Plant has had problems. In 2009, 10 million gallons of untreated wastewater were dumped into Puget Sound because of a malfunctioning switch. At the time, it was the worst spill the region had seen in decades. Rep. Drew MacEwen, R-Union, serves as the assistant ranking Republican on the House Appropriations Committee. Rep. Vincent Buys, R-Lynden, serves as the ranking Republican on the House Agriculture and Natural Resources Committee. Rep. David Taylor, R-Moxee, serves as the ranking Republican on the House Environment Committee. Now, a spill roughly 30 times larger has caused beaches to close and families to be displaced. It has also threatened the vitality of our aquatic ecosystems and undone years of hard work and hundreds of millions of taxpayer dollars to keep Puget Sound clean. Aside from the recent vote by the Metropolitan King County Council to expedite the cleanup, action has been slow, causes have not been fully determined and outcry has been minimal. Less than three years ago, Gov. Jay Inslee and King County Executive Dow Constantine were calling for Victoria, B.C., to get its sewage treatment in order due to the negative impacts it was having on regional waterways. Today, as this newspaper’s editorial board pointed out Feb. 24, these politicians and Mayor Ed Murray now seem more interested in taking shots at the Trump administration than addressing their own management problems. Futurewise, an anti-sprawl group concerned about our state’s natural resources, has been relatively silent on this failure. Back in December, they tweeted: “Tell the EPA: No vessel sewage in our Sound!” We find it hard to believe in a matter of two months, their priorities have changed. Don’t get us wrong: Everyone should do their part in keeping our waterways healthy and protecting our environment. Republicans in the Legislature have supported, and in some cases led, efforts to clean up toxic sites, remove legacy nets, clear fish passages, improve oil-train safety, and combat synthetic and pharmaceutical runoff. But we find it odd politicians and groups historically ready to pounce on any threat to our water quality would go silent on this new environmental disaster. This seems like a classic example of the double standard politicians, state agencies and environmental groups apply to rural communities versus urban communities. Instead of focusing their efforts on a real environmental problem happening in our state’s most populated city, they would rather push policies that punish landowners and jeopardize development in rural communities. They would rather go after a county’s potential water quality impact due to septic systems than hold the officials and one of the largest culprits in devastating our water quality accountable for discharging hundreds of millions of gallons of untreated stormwater and raw sewage into Puget Sound. King County must restore accountability and upgrade its failing system. And if politicians and the state’s environmental movement can’t find their voices on this catastrophe in their own backyard, they are more likely to find their words fall on deaf ears when complaining about other problems. Their credibility is just as much at risk as our state’s heritage of clean water.